In my exhibition at The Lookout, Aldeburgh next week I will be exploring issues surrounding waste packaging. What impact does this waste have on our world? Where does it all come from? As I mentioned in a previous post, the quantity of waste packaging per person in the UK is at a staggering 175kg a year. Only 25% is actually recycled, but 100% is recyclable is some way. Some packaging is completely necessary, however I am sure that everybody has laughed and rolled their eyes when that huge box has been delivered with only a thimble sized item hidden inside it. Is it really cost effective to deliver a box of air from one side of the country or globe to our living room? What about receiving a wonderful box of chocolates from a loved one only to find a very empty looking plastic filled box? Another way that packaging has changed over the years is with food and household consumables. In the past shoppers could buy their item of choice by weight, this would then be put in a paper bag, wrapped in greased paper or put into an original ‘Bag for Life’ (handmade canvas shopping bag). A perfect example of this growth in unnecessary packaging by producers and sellers is with biscuits. Originally shops like Woolworths offered a ‘Weigh out’ service. 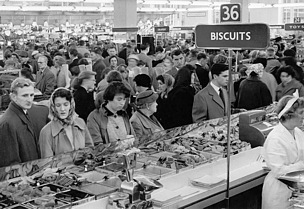 Customers could buy exactly what variety of biscuit they wanted, exactly how much they wanted, packaged in a paper bag by a helpful member of staff. So staff and service quality has gone down since those days, yet the cost to the environment has gone up. Is this fair? The environment and buildings that packaging products are made in are visually and physically interesting. They are industrial, dirty and often noisy environments; in juxtaposition to the immaculate clean and perfect products that they will carry to the human environment they will end up in. They are purely a vessel to bring the consumer product to the purchaser. 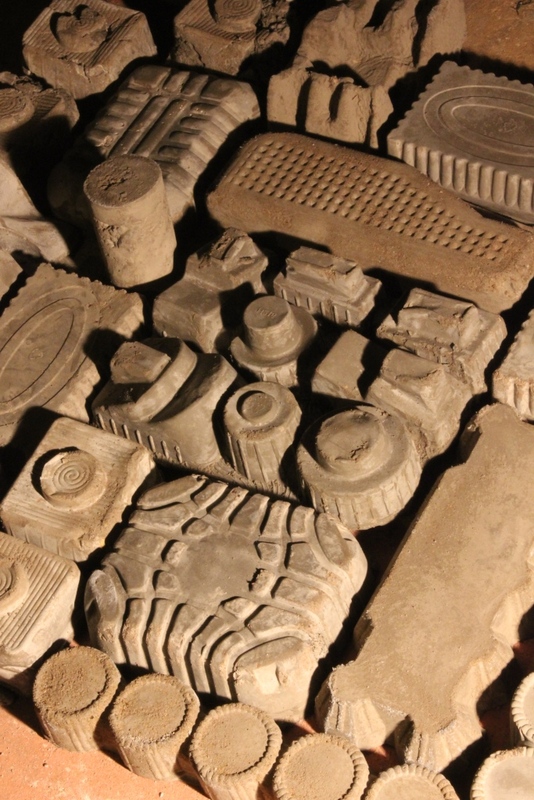 The landscapes that I have created from these waste items look like the industrial environments that both concrete and packaging are created in. You can imagine smoke and steam billowing from them, the whir of electric motors, the hustle and bustle of manufacturing. However these miniature landscapes seem to feel derelict, lifeless and sterile. The photographic works that have developed from this project offer an insight into the world that I have created. They are an abstract view of a waste packaging world that we can normally ignore.